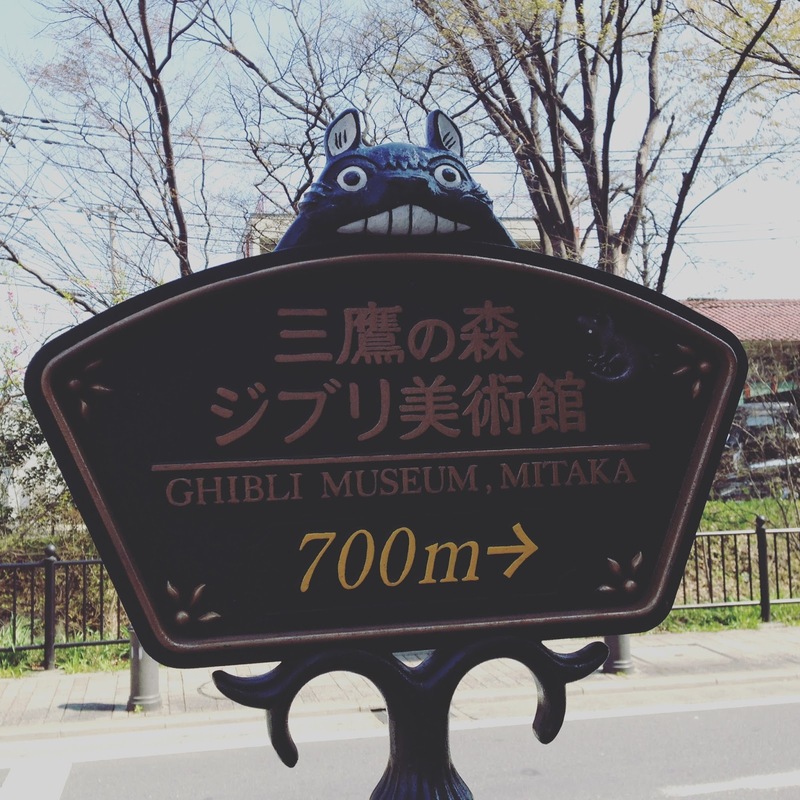 This morning we ventured over to Mitaka, via the JR line, to the Studio Ghibli museum. I was so excited! I really got into Studio Ghibli in a big way in the year leading up to our holiday and we went through the entire box set. From the station there is a shuttlebus that takes you to the museum but it was a lovely day so we decided to walk. It took 10 minutes and was very easy due to the numerous signposts. There was a short queue outside, again it only took us about 10 minutes to get in. 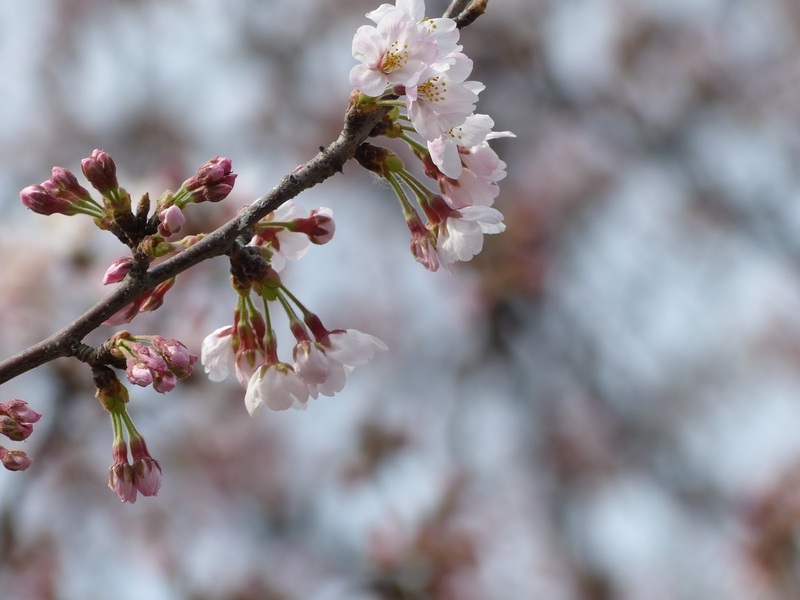 We had booked online before going, through JTB, as I had read to book it from within Japan was difficult and complicated. 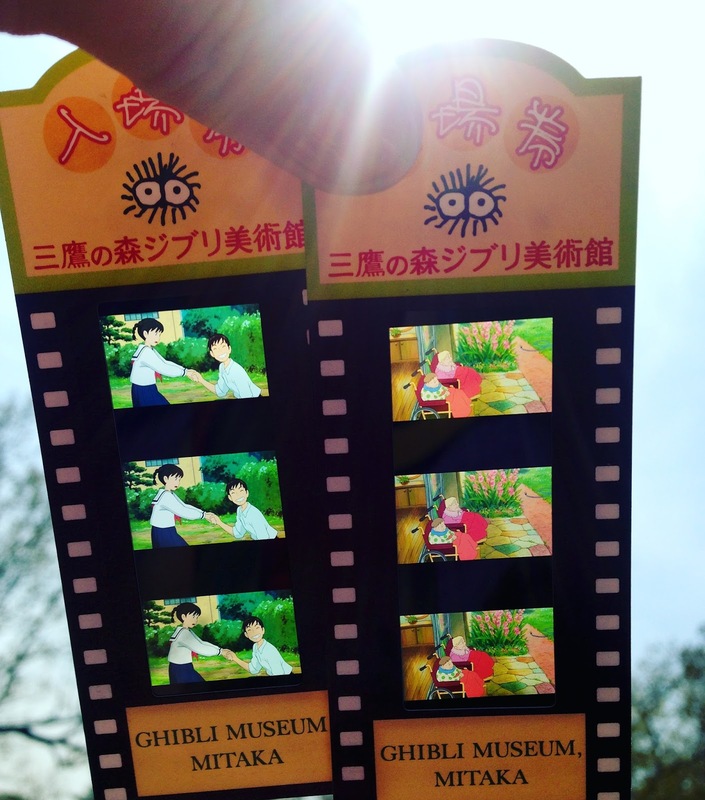 Once inside our printed tickets were exchanged with little film strips which make a cute memento. There were no pictures allowed but it really was amazing inside. 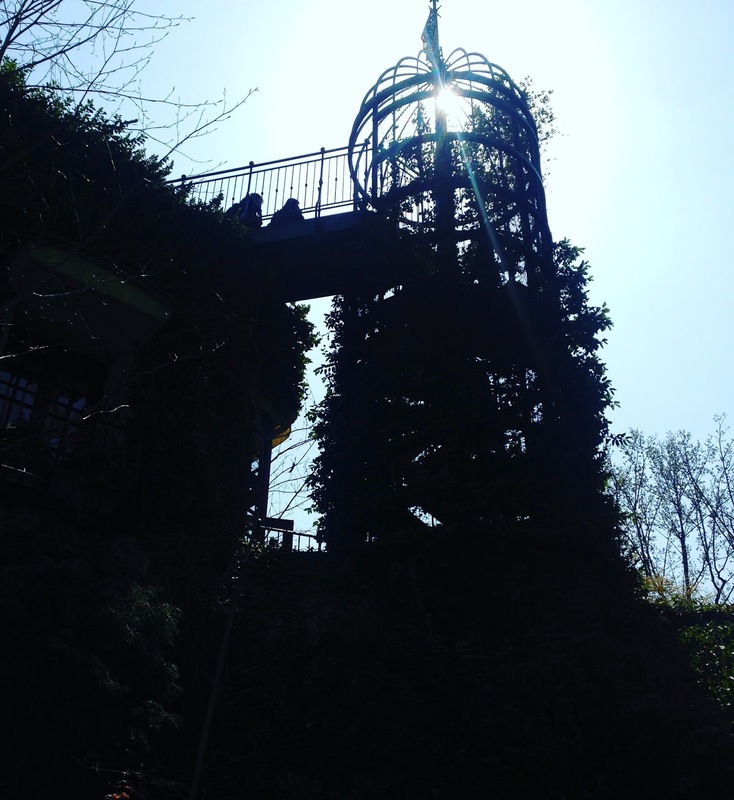 It felt magical, it really captured the feeling of Studio Ghibli. It was simple yet beautiful. We were also able to watch a short film, created exclusively for the museum. I believe there are a range you can watch. 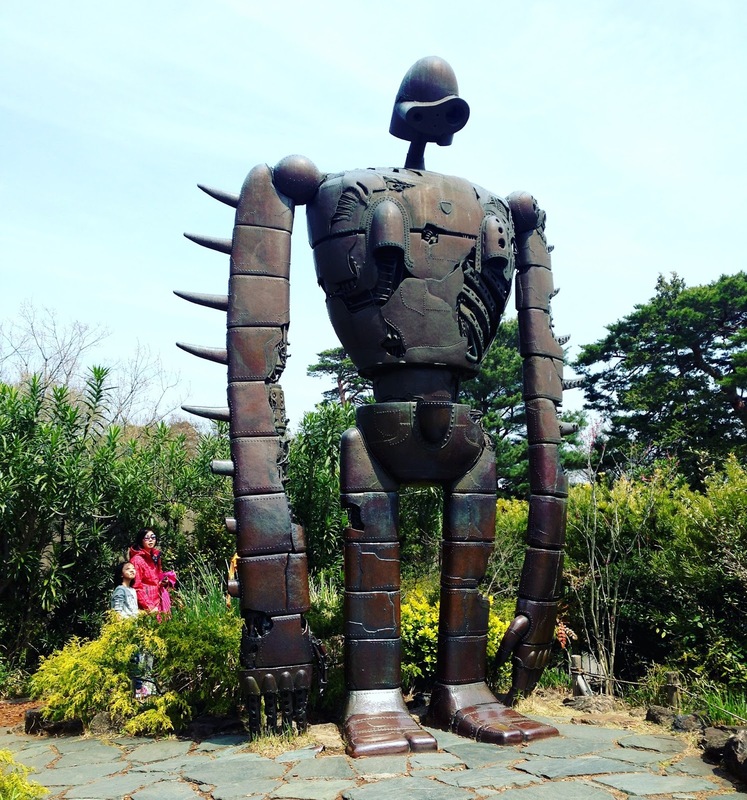 On the roof of the museum was a robot from Laputa, Castle in the Sky and there was the chance to get the camera out. The gift shop was also wonderful. It was filled with really high quality beautiful items. I got myself some pins for my bag whilst Adam bought himself a model from Nausicaa and Dudley got a model from Laputa. I also bought myself some cards which I made a collage from when home, which now hangs on the wall. There was a lot of papercraft which I would have loved to have bought. 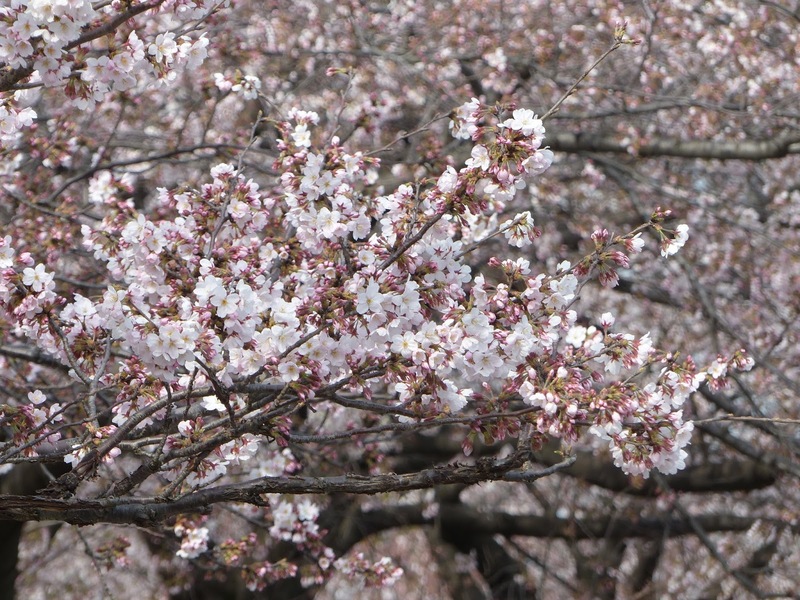 After leaving the museum we headed over to Sumida Park. 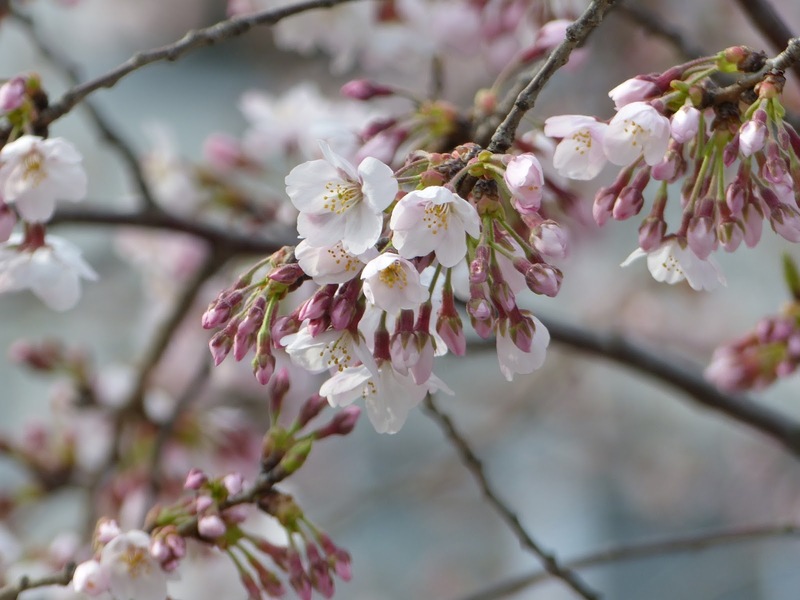 The park sits along the river and is a great place to see cherry blossom. 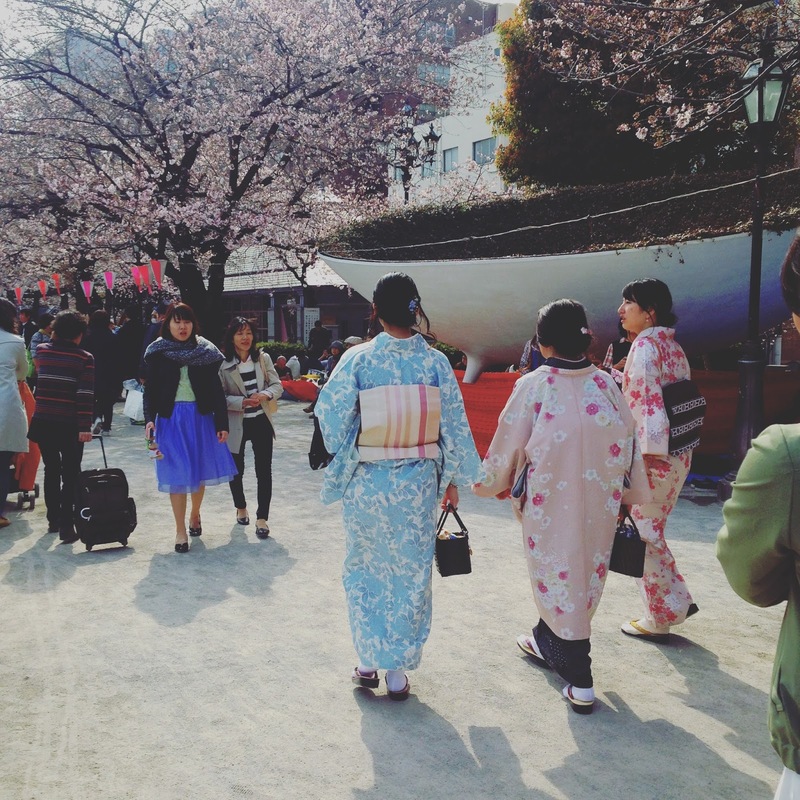 There were lots of Japanese people having picnics wherever you looked and we joined them in having lunch there. It was a really nice atmosphere. 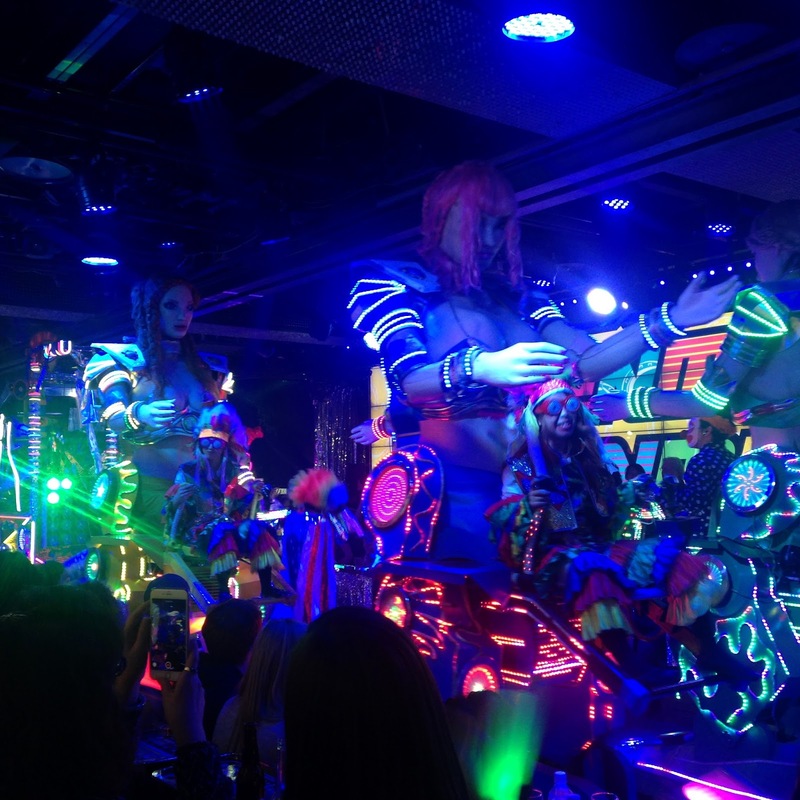 That night we had prebooked to visit the Robot Restaurant. 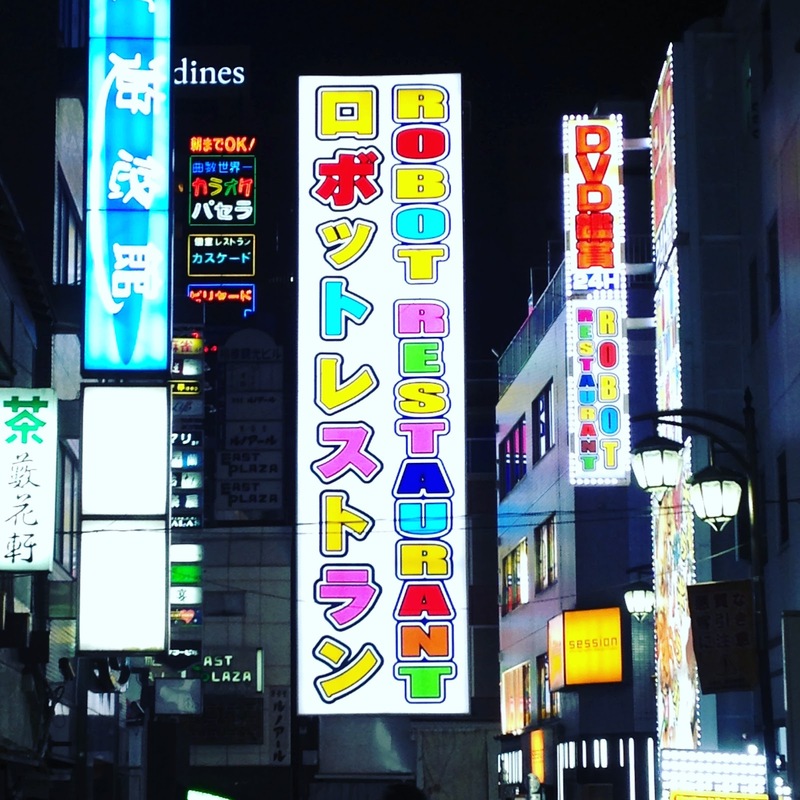 The restaurant was based in Kabukicho, which is the part of Tokyo that is known for its red light district. 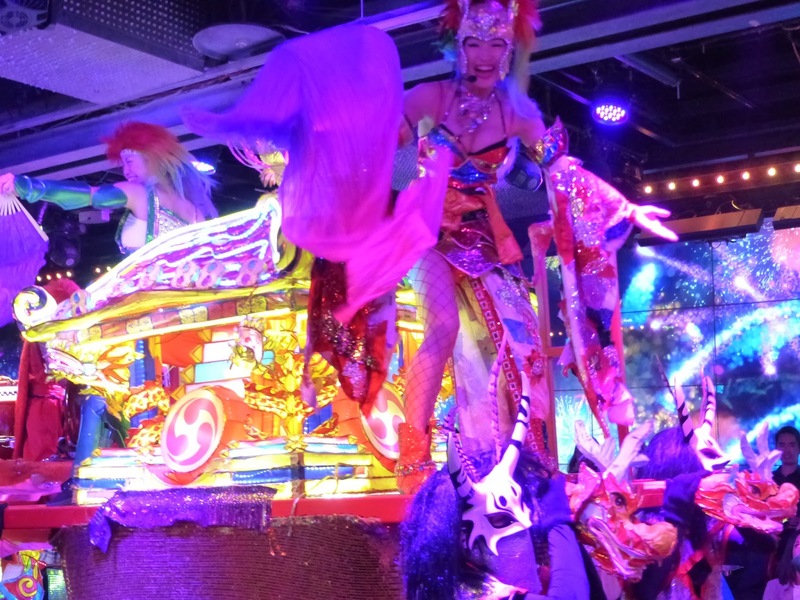 It was very lively and there was a lot to see there. 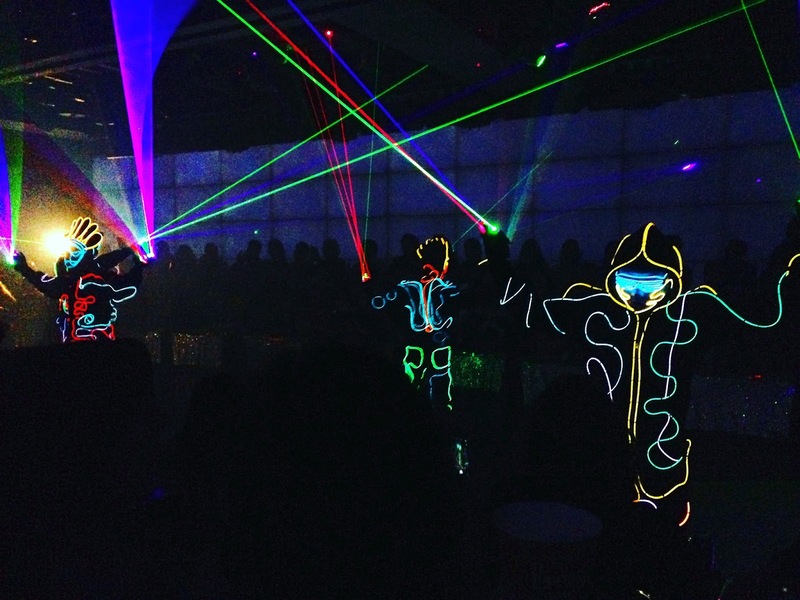 The area has lots of lights and lots of energy. 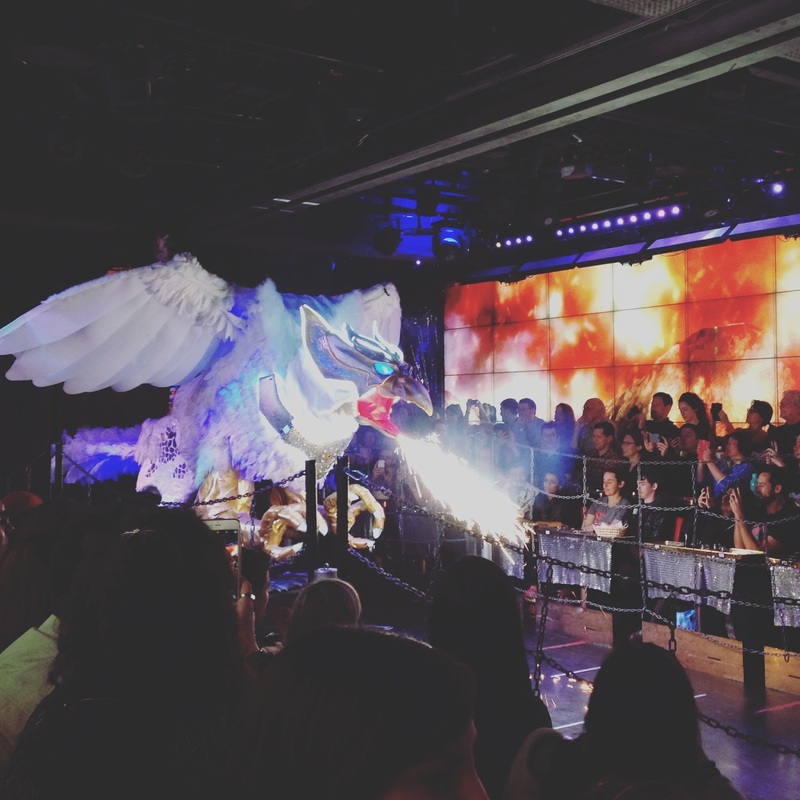 The robot restaurant was really something else though. 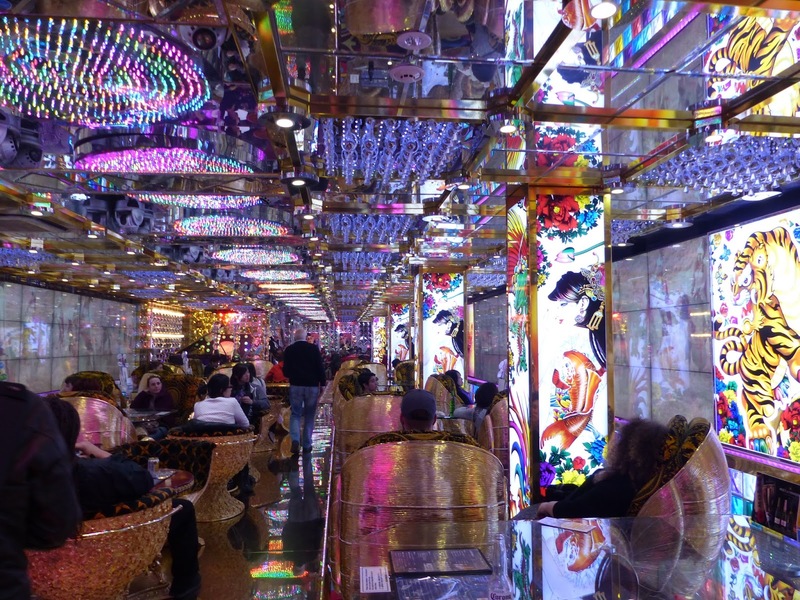 It cost 10 billion yen to build and it’s decor is like nothing you’ve ever seen before. We arrived for the 7.50pm show and we got a drink included in our entry fee. We sat in the lounge before the show, which is just sooooo shiny! When we made our way to the show we could hardly believe it. 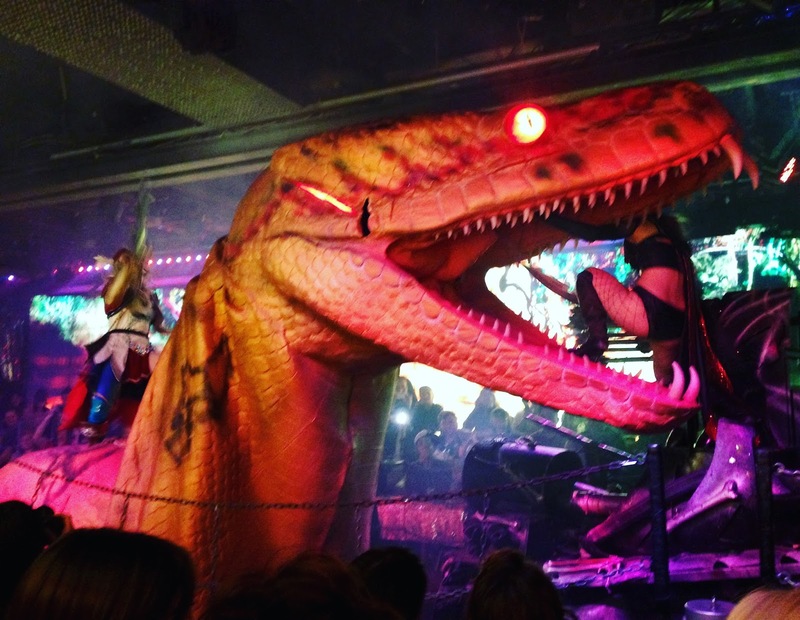 There were giant robot battles, neon tanks and more lights than I’ve ever seen before. We sat there for 90 minutes absolutely dumbstruck and by the end we were joining everyone in waving our glowsticks above our heads. There is just no way I could ever describe it in words. 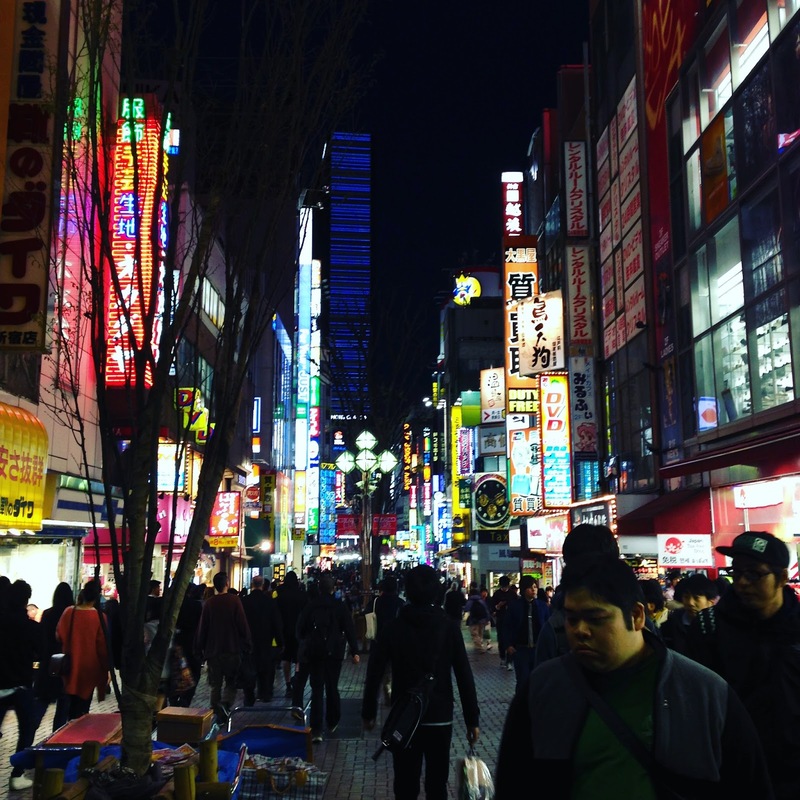 This signalled our last night in Tokyo and in summery I loved it more than I could have ever imagined. It may be the biggest city in the world but it doesn’t feel like it. It’s calm, it’s intelligent, it’s got order. The people are just beautiful and I noticed that even more after we left. All the men are in suits, all the women look like supermodels. It really is one of my favourite places in the world!